Britain's foreign minister Boris Johnson called on Israeli Prime Minister Benjamin Netanyahu to initiate an independent probe into the deaths of over a hundred Palestinians by Israeli troops during The Great March of Return on the Gaza border over the past months. In a meeting with Netanyahu during his visit to London on Wednesday, Johnson said that the UK was concerned about the deteriorating situation in Gaza. Netanyahu’s visit to London followed stops in Paris on Tuesday and Berlin on Monday. On Monday, Netanyahu said he discussed with German Chancellor Angela Merkel ways to alleviate Gaza’s humanitarian crisis, with Merkel offering to "help with economic support for the Gaza population." 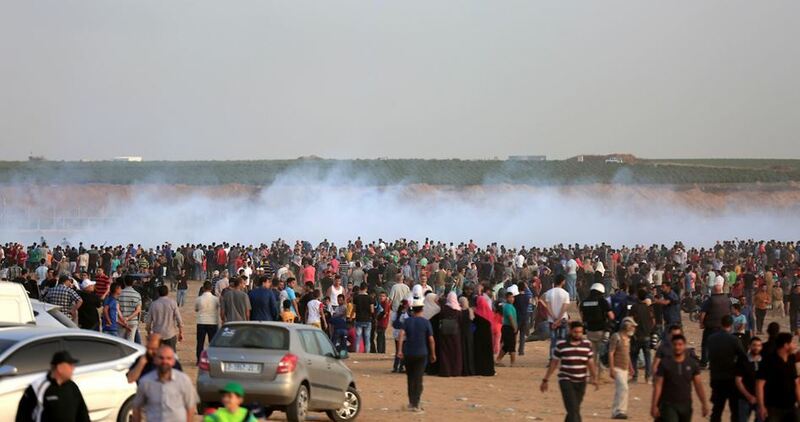 Earlier last week, the UN Human Rights Council voted last month to send a team of international war crimes investigators to probe the deadly shootings of Gaza protesters by Israeli forces. 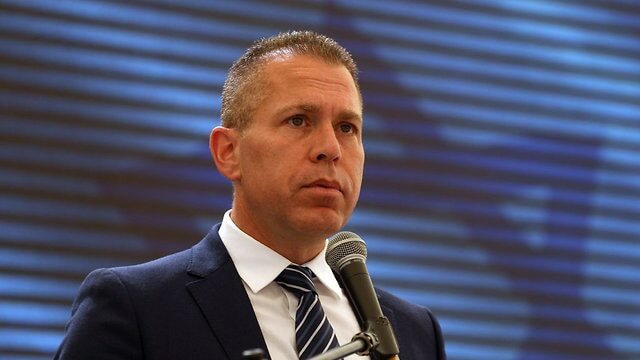 Public Security Minister Gilad Erdan said Tuesday that Israeli snipers should shoot Palestinians in Gaza who are spotted flying incendiary kites over the border into Israel. "I expect the IDF to handle these kite-flyers exactly as they would any terrorist, and the IDF's targeted assassinations must also apply to these kite-flyers," Erdan said. "If their drone ends up getting lost in the process, we compensate them," the general told Reuters, speaking on condition of anonymity. The army has also fitted larger surveillance drones with weighted fishing lines or blades that can snag or slash kite strings in mid-air, the general said. But he acknowledged the limitations of such measures, saying: "We'll probably end up having to shoot kite-flyers too." According to Defense Minister Avigdor Lieberman, 600 such kites have been sent from the strip so far, while 400 have been intercepted by Israeli security forces using technological means. “Two-hundred succeeded in reaching our territory and they burned 9,000 dunams of crops and forests,” Lieberman said on Monday, adding that Israel would not accept the kites as a daily norm. "It began spontaneously. We never thought we would achieve such good results," said Shadi, one of five Palestinian teenagers preparing kites with fabric dipped in diesel and lubricant oil in a Gaza field. "The idea is simple: use the simplest tools to cause damage and losses on the Occupation (Israel)," said Shadi, 19, wearing a "V for Vendetta" mask favored by protesters in many parts of the world and who, like the others, declined to give his last name. No one has been hurt by the fires, but some 2,250 acres (910 hectares) of fields and nature reserves, already parched after a dry winter, have been burned by flames stoked by Mediterranean winds, causing $2.5 million in damage, Israel's government said. Daniel Ben-David, a forestry official for Israel's quasi-governmental Jewish National Fund, said some kites had been decorated with swastikas or the Palestinian national colours, but more recently were made of transparent nylon sheeting. Some had leaflets attached. "Prepare for a scorching summer," read one, in Hebrew. Even if the protests wind down, he and others will continue to send the kites—some of which carry the photos of Palestinians killed in the demonstrations—he said. "Each kite costs us 10 shekels ($2.80). We pay it for it out of our own pockets," Shadi said. A senior White House envoy, Jason Greenblatt, described the kites as "not harmless playthings or metaphors for freedom (but) propaganda and indiscriminate weapons". The UN Office for the Coordination of Humanitarian Affairs (OCHA) called on the government of Israel to cease its plans to carry out the mass demolition and transfer of the Palestinian Bedouin community of Khan al Ahmar, located on the eastern outskirts of Occupied Jerusalem. OCHA said the projected demolition follows the Israeli High Court of Justice’s 24 May rejection of the community’s petition to prevent the demolitions, marking an end to years-long legal efforts and leaving virtually no legal options to protect the community. Nearly all of Khan al Ahmar – Abu al Helu’s structures are now at immediate risk of demolition by the Israeli authorities, including the school, initially built with donor support. The school serves some 170 students from the community and four surrounding ones. The proposed transfer seeks to move the rural livestock-dependent community to an urban site unsuitable for Bedouin livelihood, culture and traditions and is likely to increase their level of humanitarian need. “After nine years of legal battle, this refugee community now faces the demolition of their homes, the loss of traditional livelihoods and the imminent risk of forcible transfer should the demolitions be conducted and the community be compelled to relocate, which would be a grave breach of the Geneva Convention,” said OCHA. “Many already displaced from the Negev as a result of the 1948 conflict; they now face being displaced for a second time. 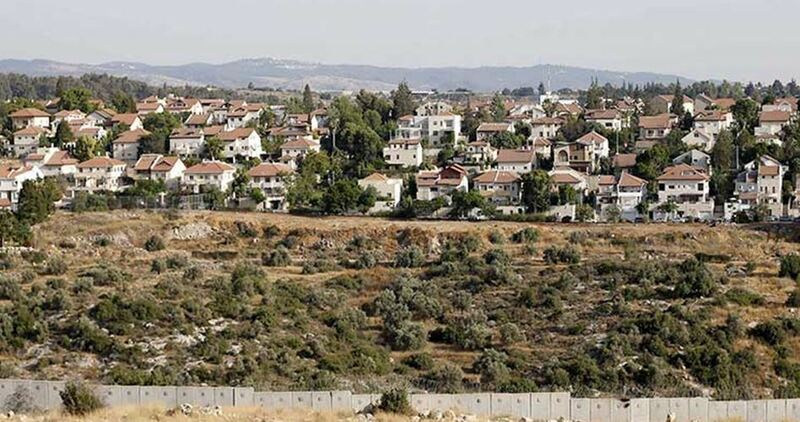 As we have seen in similar circumstances in the past, the transfer of rural Bedouin to the urban setting of Jabal West, proposed by the Israeli state, will likely prove socially and economically devastating,” it added. Khan al Ahmar – Abu al Helu is one of 18 communities located in or next to an area slated in part for the E1 settlement plan, aimed at creating a continuous built-up area between the Ma’ale Adummim settlement and eastern Jerusalem. This week, the Israeli authorities approved a planning scheme providing for the construction of 92 new housing units and an educational institution in the Kfar Adummim settlement, immediately adjacent to Khan al Ahmar; this settlement has also petitioned the High Court for the implementation of the outstanding demolition orders against the community. “Israel’s obligations as an occupying power to protect the residents of Khan al Ahmar are clear,” said OCHA. “Should the Israeli authorities choose to implement the outstanding demolition orders in the community and force the people to leave, they would not only generate significant humanitarian hardship but also commit one of the grave breaches of international humanitarian law,” he concluded. International humanitarian law (requires an occupying power to protect the population of the territory that it occupies, ensure its welfare and wellbeing, as well as the respect for its human rights. The extensive demolition of property is a grave breach of the Fourth Geneva Convention and may amount to a war crime. The Kuwaiti ambassador to the United Nations Mansour Al-Otaibi vowed to go to the General Assembly for the protection of Palestinians after a draft resolution of his delegation for that purpose was vetoed by the United States. Earlier Friday, the UNSC voted on a Kuwait-drafted resolution calling for setting up an international protection for the Palestinian people following the killing of dozens of peaceful Palestinian protestors by Israeli forces in Gaza. Out of the council's 15 members, 10 voted in favor, including France, and only the US voted against. There were four abstentions including Britain. "We will consider going to the General Assembly, going to other UN bodies to try to find a way to provide international protection for the Palestinian civilians," Al-Otaibi told reporters..
Al-Otaibi said he was disappointed by the U.S. veto of his delegation's draft resolution. Ten of the 15 members of the Security Council voted in favor of the Kuwaiti draft, and only the United States voted against it, he noted. 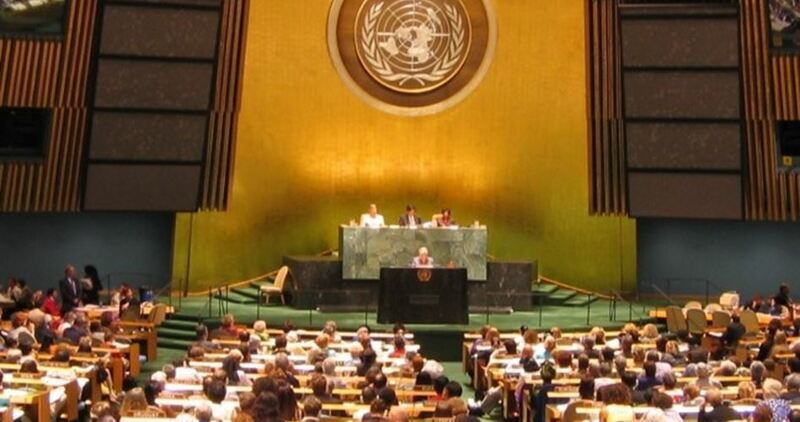 The United States has used its veto power, Friday, against a draft resolution at the United Nations, calling for providing protection to the Palestinian People, living under illegal Israeli occupation. 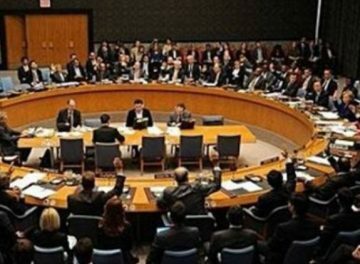 The Veto came after the resolution was backed by 10 counties at the UN Security Council. The Palestinian Health Ministry has reported that Israeli soldiers killed, Friday, a young Palestinian woman, a volunteer medic identified as Razan Ashraf Najjar, 22, and injured 100 Palestinians, including 40 with live fire. The Health Ministry said the soldiers resorted to the excessive use of force against Palestinian protesters, participating in the Great Return March, and marching for breaking the ongoing deadly Israeli siege on the Gaza Strip. 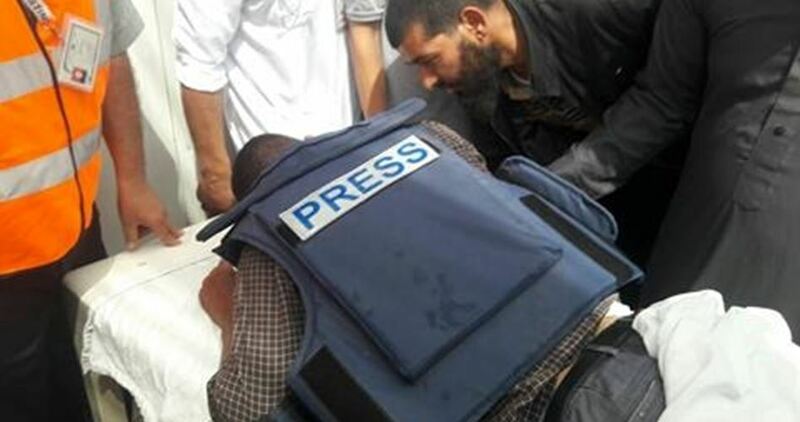 Dr. Ashraf al-Qedra, the spokesperson of the Health Ministry in Gaza, stated that the Razan was killed by live Israeli army fire after the soldiers targeted five medics providing treatment to wounded Palestinians in the “Return Camp,” east of Khan Younis, in the southern part of the Gaza Strip. He added that the soldiers also injured more than 100 Palestinians, including 40 with live fire, while the rest suffered various cuts and bruises, in addition to the effects of teargas inhalation. 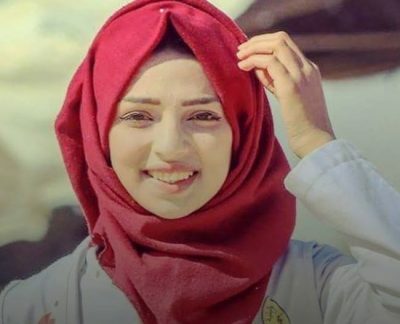 Dr. Mustafa Barghouthi, the head of the Palestinian Medical Relief Society (PMRS), said Razan was a volunteer with the PMRS, and was killed after the soldiers fired live rounds at a filed clinic, hundreds of meters away from the border fence. Dr. Barghouthi said the killing of the volunteer medic is another crime committed by Israel against innocent civilians, including medics and journalists, and added that the medical teams will continue their humanitarian duties despite the Israeli violations, and constant escalation. Benjamin Netanyahu said those who were shot dead by Israeli soldiers on the Gaza border "died accidentally"